President Akufo-Addo’s government has been able to save the state a whopping amount of Ghc 1.9 billion due to the tightening of the public procurement space which prevented procurement breaches. Chief Executive Officer (CEO) of the Public Procurement Authority (PPA) A.B. 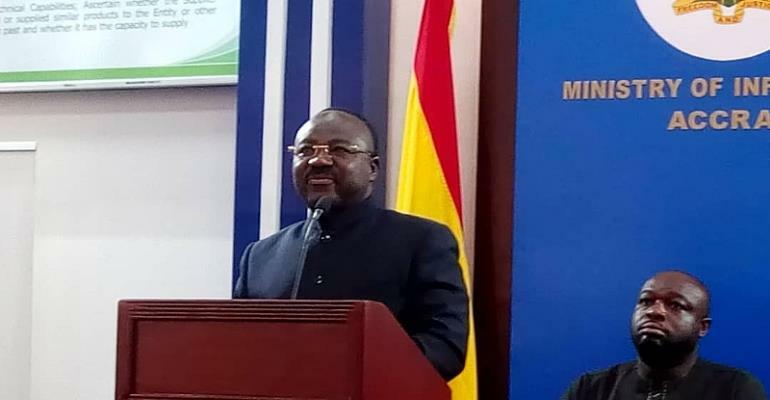 Adjei made this known today, April 2, 2019 when he addressed the media at the Ministry of Information’s Meet the Press Series. According to him, the savings was made within a space of 21 months between April 2017 and December 2018. The savings, he said, meant that Government could use the amount to which would have ended up in ‘private pockets’ illegally, to fund other national projects. He cited a number of procurement malpractices which he said the Authority uncovered in the processes leading to the saving of the Ghc 1.9 billion. He mentioned a bid tender suppression, complementary bidding, bid tender rotation which allows competitors to arrange to win contracts in turns, as well as collusion, as some of the malpractices uncovered. According to him, a number of initiatives have been put in place under his watch to combat procurement fraud.